The Kansas City Northland has been served by three generations of Dr. Cochran since 1958. Upon graduating from the University of Missouri – Kansas City Dental School in 2014, Dr. Garret Cochran became the 3rd generation of dentist at Cochran Dental. Thus, following in the footsteps of his father Dr. Douglas J. Cochran and grandfather Dr. Dan Cochran. We serve the Greater Kansas City Northland, including Gladstone, Parkville, Liberty, Riverside, and North Kansas City areas. Dr. Dan Cochran graduated from the University of Kansas City Dental School in 1955 and joined the United States Air Force, serving as an officer in the Dental Medical Unit at Hunter Air Field in Savannah, Georgia. It was during this period of service that Dr. Douglas J. Cochran was born. In 1958, Dr. Dan moved his young family back to Kansas City and joined a practice located in North Kansas City above the Russell Stover’s Candy store, the perfect location for a dentist. As the population of Kansas City grew, Dr. Dan saw the need for dentists in the Northland and in 1971, opened the first Gladstone office. In 1984, Dr. Douglas Cochran graduated from the University of Missouri – Kansas City School of Dentistry and joined his father in practice until Dr. Dan retired in 1994. Dr. Doug continues to practice dentistry, now at our new 7101 North Oak facility, where he has been joined by his son, Dr. Garret Cochran. Whichever Dr. Cochran you see, he will be patient focused and listen closely to you. We want to get to know you, not just your teeth. Our goal is to create not only your ideal treatment plan to help you KEEP THAT PRETTY SMILE®, but to learn about you and the things that are important to you in life. Whether you are a new patient or have been with us since the start, we would like to thank you for allowing us to be a part of your life. We are honored to provide for you and your family and thank you for being part of ours. Dr. Garret Cochran D.D.S. and Dr. Douglas Cochran D.D.S. Dr. Doug and Dr. Garret are active members of the Greater Kansas City Dental Society, attending regular Continuing Education Events. Dr. Doug serves as a Delegate to the Missouri Dental Association. Dr. Garret is an alternate Delegate to the MDA and a Board Member to the Greater Kansas City Dental Society. Both Dr. Doug and Dr. Garret are also members of the American Dental Association. Dr. Garret is additionally a member of the Academy of General Dentists working toward Fellowship status. Cochran Dental is Accredited with an A+ rating from the Better Business Bureau. 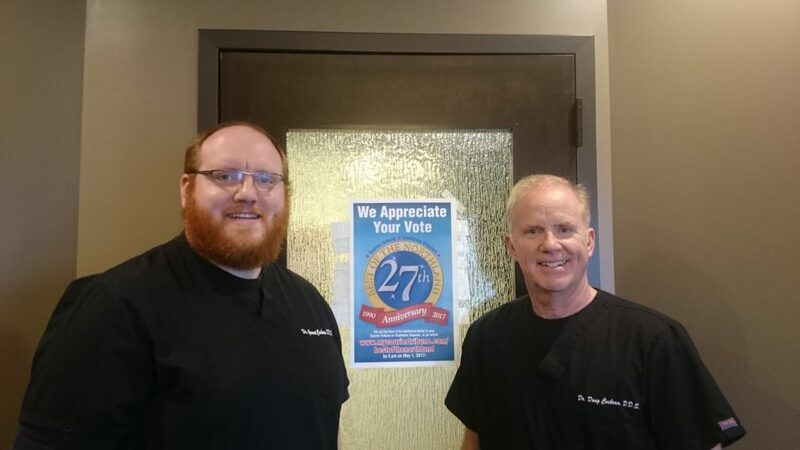 With 60 years of serving the community you can be assured that at Cochran Dental, we have the passion, dedication, commitment and knowledge to help you KEEP THAT PRETTY SMILE®.